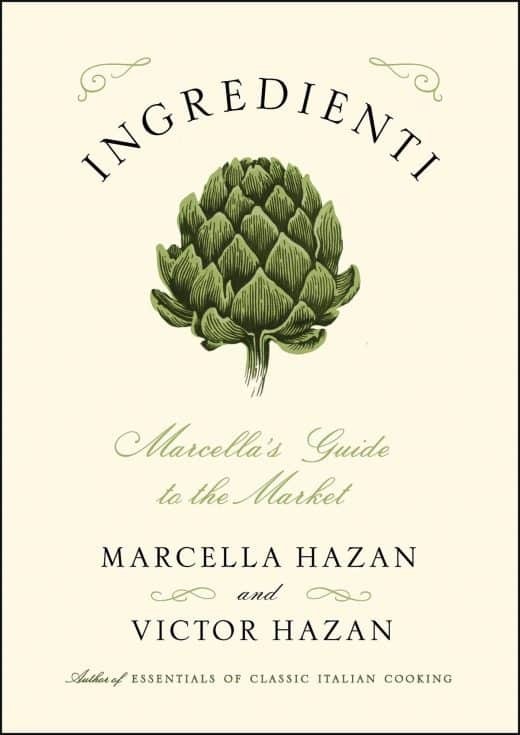 Not only is this book ‘Ingredienti‘ by Marcella and Victor Hazan a favourite of mine ( I read it in 36 hours) and holds pride of place in my kitchen but Jonell Galloway who has written this cookbook review is a total inspiration to me. I met Jonell and her charismatic husband Peter last September in Romagna. We were part of a food tour. We both shared stories, many lunches, evening meals and possibly too many glasses of wine and giggles along the way. Two ladies with different backgrounds yet so similar in so many ways, not only a passion for all things Italian but also the need to constantly want to learn more about Italian food whilst eating as much as possible on what was a perfectly delicious culinary journey. I asked Jonell if I could share her review of ‘Ingredienti’, on my website because when I read it a few weeks ago I was immediately transported back in time. To a time of simplicity, for one moment I lost myself, then woke with the urge to cook and eat. 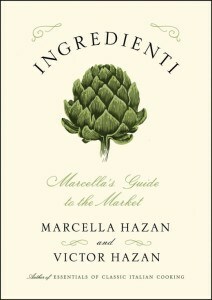 Thank you Jonell for bringing ‘Ingredienti’, to life in my kitchen.